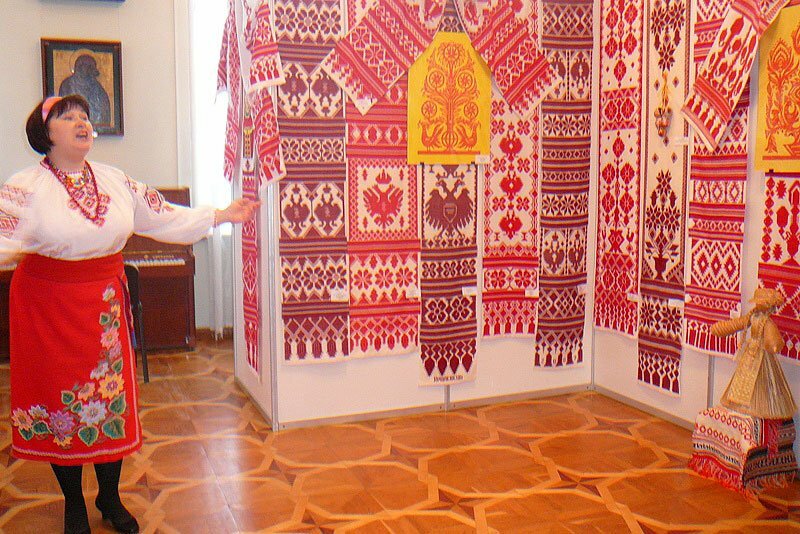 The North-Eastern Polissia is сlosely identified with Krolevets woven towel (Krolevets, Sumy region). The woven towels gained their biggest popularity in the second half of the XIX century at the local fairs, including Khrestovozdvyzhenskyi Fair in Krolevets and Illinskyi Fair in Romny. Later, their popularity spread all over Ukraine. The whole families of weavers worked in the town of Krolevets. 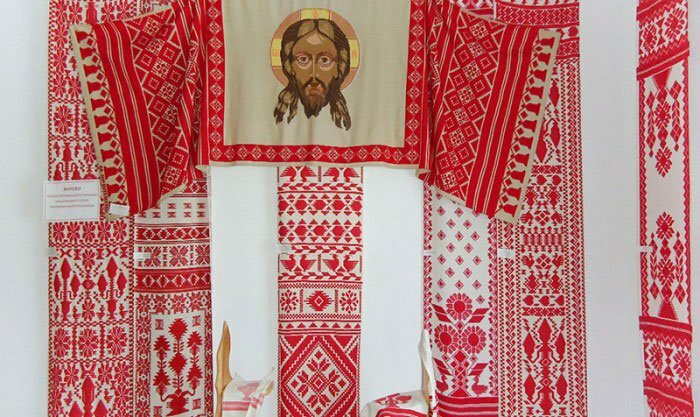 Nastya Ivanytska and Petro Bidnyi were the famous weavers, both had their own style, a peculiar manner of weaving. The most famous dynasty of weavers and buyers is Ryndia family. Ivan Ryndia quickly noticed that trade gave him more profit than weaving and became engaged in the accumulation and sale of towels. Gradually, he created a monopoly on the products of Krolevets craftsmen. After visiting Paris, London and Barcelona exhibitions where he was awarded honored medals, Ivan Ryndia multiplied his grandfather and father achievements. In 1875, he contriibuted to the construction of the premises for weaving workshops for a zemstvo (local government) school. At the same time, his surname appeared on Krolevets towels, and the towels themselves became a brand, and got into collections of private collectors, as well as Kyiv and Chernihiv museums and the Museum of Emperor Alexander III in St. Petersburg collections. The towels were exported to Italy, Canada, the USA, France abd Japan. The main ornament of the Krolevets towel is a "tree / flower of life" or "Beregynia goddess". Wedding towels are of particular importance in the Krolevets area: "binding" towels (linking matchmakers and bridesmen); "Pidpereznyky" (in Sumy and Poltava region in the 19th and 20th centuries, bride and bridesmaids girdled their wedding dresses with such towels), wedding towels and towels to put a ceremonial round loaf on. Craftsmen were weaving the "bayonet" and paired elements as symbols of the family throughout the length of the towel. Such elements included "vases", "candlesticks", "ducks", "pigeons", "roosters". Most distinctive elements were "an eagle and a female eagle" - the image of two-headed eagles with crowns on their heads. This is where the names of towels - "royal", or "eagle" - comes from. For the manufacture of a towel even nowadays the multi-heald machine with four stands is used. For the base, the linen, hemp (and nowadays cotton threads) of white and red colors were taken. The threads were bleached and dyed in red with natural dyestuffs made of cochineal. Five techniques were used for weaving, including the oldest two-way techniques like "as canvas", "as the parks" (the rarest towels), "as reps". The color of woven patterns on them is not bright due to the alternating white and red threads. From the middle of the nineteenth century, the two-sided biting techniques were replaced by one-sided. These include "Myropilska" and "with a choice", or "Rykhlovska". Their ornament is a rich color on one side. On the other side of the towel, only the place where the thread was laid is visible. The first weaving enterprise in Krolevets was created in 1922 when the home-working weavers joined the artel of decorative-and-artistic art called "Vidrodzhennia" ("Renaissance"). Since 1960, the Artel has become the Factory of Art Weaving, and in the 1970s, Krolevets was one of the leading centers of pattern weaving in Ukraine. Products were exhibited in 50 countries of the world! Since the 1990s, for weavers, as well as for the whole country, the tough times have come, and by 2007 the factory went bankrupt. 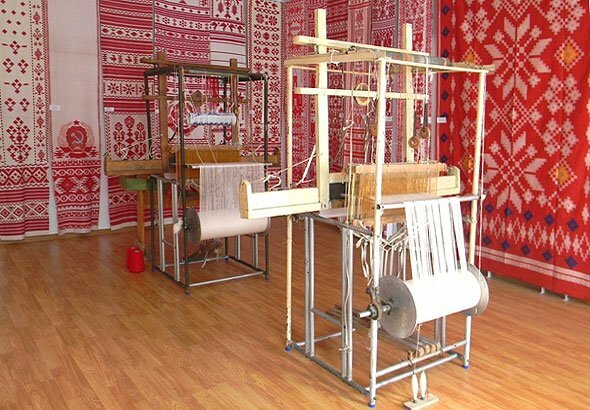 In order not to lose the age-old achievements of Krolevets craftsmen, in 2008 at the place of the factory, the communal enterprise "Krolevets Art Weaving" was created. Today, unfortunately, it only has two enterprise-based weavers while a few more weavers work at home. 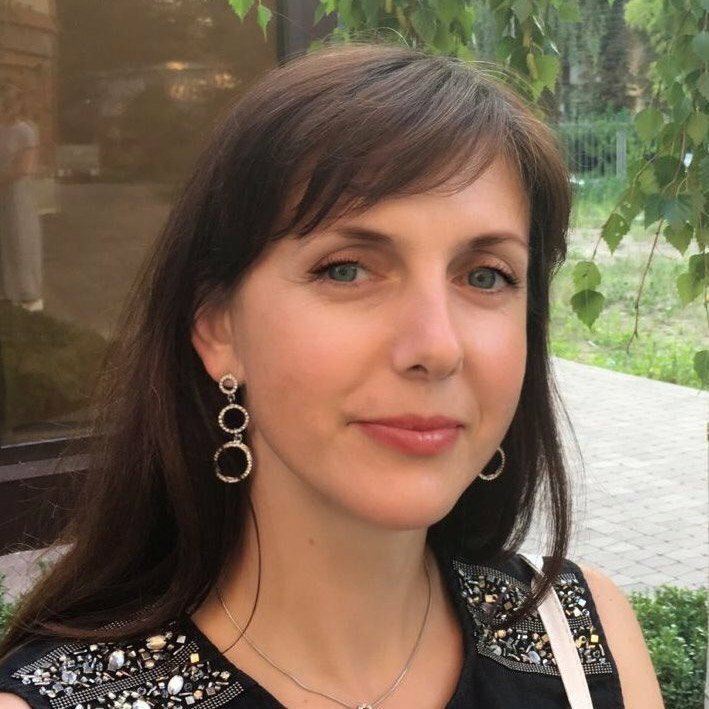 Currently, the most famous craftswomen of Krolevets weaving are Raisa Kalmykova, Valentyna Hetsevych, Lyudmila Mintus, Tetiana Zinchenko, Olena Petrova, Olha Borysenko, Valentyna Myronenko, Valentyna Valova, Valentyna Savytska, Ievdokiia Konovalenko, Tetiana Fedosova. The State higher vocational school is trying to preserve and share with the youth the tradition of Krolevets handloom weaving. 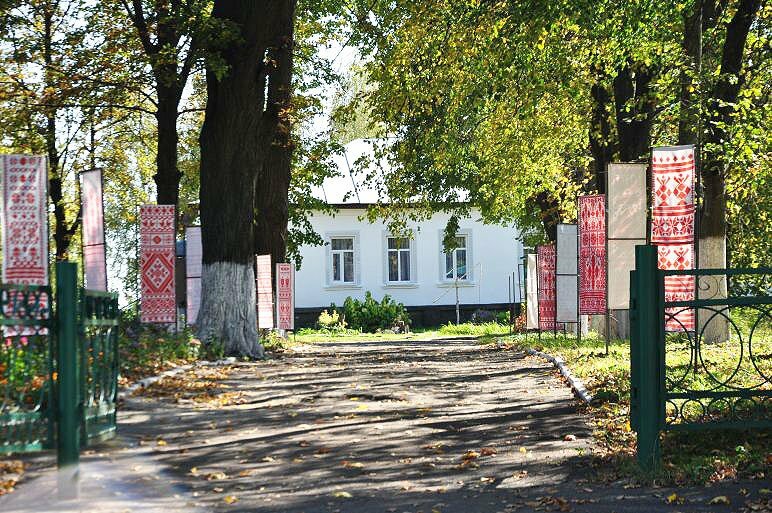 Since 1994, the International Literary and Arts Festival "Krolevets Towels" has been held in the city, and, on the premises of the former Ohievskyi Manor, the Museum of Krolevets Weaving was opened in 2011. 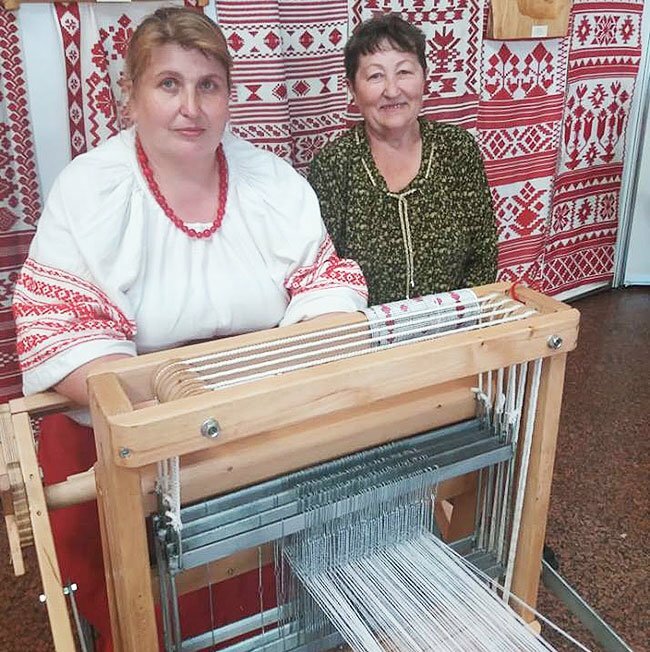 In February 2018, Krolevets weaving was included in the National List of Elements of the Intangible Cultural Heritage of Ukraine in order to preserve its traditions. This act envisaged measures to protect Krolevets weaving by the communal enterprise "Krolevets Art Weaving" and the Department of Culture of the Krolevets District State Administration. Dudar I. History of Krolevets towel weaving of the 19th and 20th centuries. LLC "Office-Center". K., 2008. 74 p., IL. Karas A. 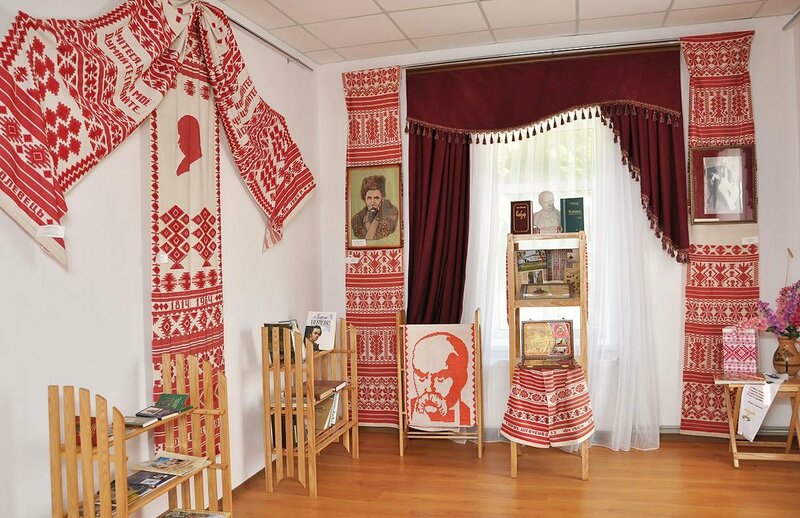 The Krolevets Weaving / Department of Culture and Tourism of the Krolevets District State Administration of Sumy Oblast; Krolevets Regional Museum of Local Lore. Hlukhiv: RVV GDPU, 2008. 100 p. 60 il. Town of a towel miracle. Local history essay. Sumy - Krolevets: GDP "Mriya-1" - "Zarty". 2001. 56 p.
Krolevets towels. From the history of artistic art in Krolevechchina. Krolevets - Lebedin: "Zarty" - "White Swan". 2002. 59 p., IL. 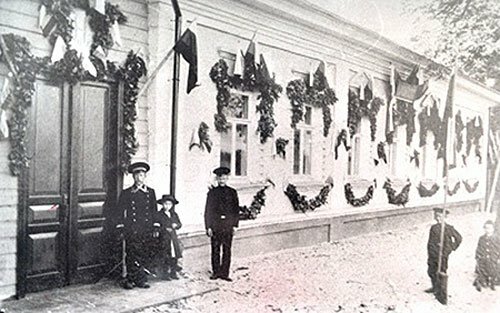 This page uses materials and photos from the Sumy Art Museum and the Museum of Krolevets Fabrics (Krolevets).